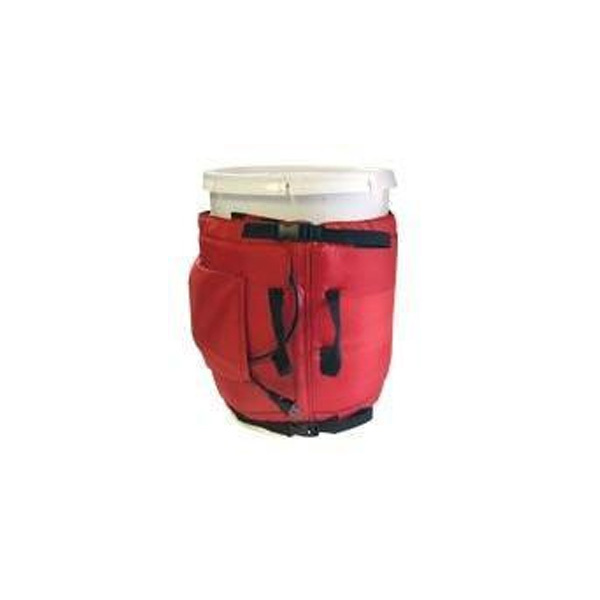 The PW-005 pail warmer will warm a five gallon can or a 605 Bd Ft foam kit cylinder. It is made from heavy duty nylon CPAI 84 which creates a heat retaining flexible barrier. It is insulated with closed cell polypropylene with an enclosed heating element. It plugs into a 120V AC or 12V DC inverterusing a heavy duty industrial cord. It features a convenient cord storage pouch on the front with a velcro closure and adjustable cinch straps for a snug fit. It measures 11.5″ high x 41″ long. The internal temperature is controlled to maintain a constant temperature while only using 50 watts of power. *These are sold one per package, if you are purchasing for a 2 part foam kit you will need to purchase two.